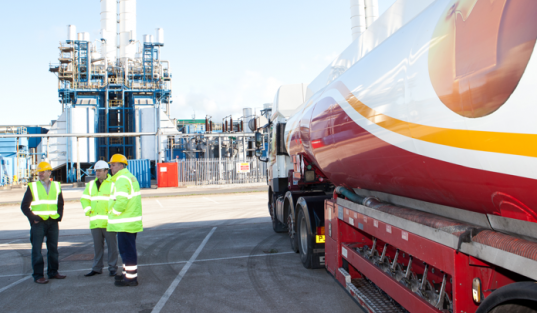 As a leading red diesel supplier in Cornwall and in the UK for over 70 years, we guarantee to deliver your fuel within 48 hours of order. With our competitive prices and highest quality fuel available in the UK, our service is unbeatable from start to finish. We can also do unattended deliveries if required as long as the driver can access the tank. Just simply inform our adviser when you place your order. What’s more, if you’re in need of a red diesel delivery in an emergency, you can take advantage of our emergency fuel delivery service, where we can get your red diesel to you within just a hours. Call us on 0845 313 0845 to order red diesel now! Cornwall is located on the south-western peninsula of Great Britain and is bordered on three sides by water. This unique county in the United Kingdom can suffer from some bone chilling temperatures during the dead of winter. Diesel suppliers in Cornwall help take the edge off that chill. Red diesel is the fuel of choice for many homes located in this amazing area of the world. Supplying the fuel needs of the residents is a very important part of our work here at Crown Oil. Red diesel is unlike diesel in that is used in motorised vehicles that are seen travelling the roadways. Although the chemical makeup is pretty much the same, red dye is added to the diesel to identify illegal usage in on-road vehicles. This red dye differentiates it from motor fuel, making it easily detectable for authorities that would slap a hefty penalty on those using it in a manner it is not designated for. Motor fuel is taxed at a much higher rate than red diesel fuel that is intended to be used in the home. For this reason it is not wise to use it to heat the home. Road use taxes are a necessary part of every drivers responsibility to help provide quality roads to drive on. Red diesel is also commonly used in farm equipment in Cornwall, since tractors and other farm vehicles are not suitable for road use, and this gives those who provide the food we all eat with a tax break that helps to keep them working to put food on our tables. Red diesel fuel helps every citizen, since it keeps the costs down and the production up for farmers, and houses and businesses heated for comfort.